We did not have Television addiction in so our days, simply because Televisions came too late to become a habit and also the programs aired were only for a limited time period every evening. If I recall correctly it was from 5 pm to 10 pm only! So there were a meager set of activities we could really engage in and pass our time. But boy oh boy, didn’t we make the best use of it! My generation was busy with all kinds of outdoor activities. I still remember how all of us in the ITI colony at Allahabad, would be in the club house from 4 pm to 9 pm everyday. We played anything and everything by mostly waiting for our turns or fighting for it! Since there were no coaches, I had practically learnt everything by observing others. Badminton, Table Tennis, Chess, Carom and not to miss reading books in the confinement of a tiny space. Sports was my addiction and so was it for the maximum number of children in the colony, as there was nothing else for entertainment. The annual competition was the thrilling event that encouraged us to really practice hard, choose partners or just had no choice but to play with anyone chosen by the lottery system. Things that I am very sure I learnt by these amazing self taught but well practiced extracurricular activities have made me what I am today. Never take any failure as the end of the life is the most important learning from these sports in my childhood days. Getting bored was not common to hear. After school, lunch and homework, I had to play till the dinner time. Who had the time for drugs or anything else! Today I am heavily reaping this quality of learning on my own as an entrepreneur and seriously saving myself not just money but time too. Our sports teacher always made us watch the movements of the best sports persons in the school. As an athlete, it made a lot of difference watching better runners and their moves. Today as a parent the best example of leading can be seen in my kids, who are silently or vociferously, emulating me in many things. Isn’t that the best way to teach the kids? Practice what I preach and watch my kids follow the leader! Again during my engineering days, later as a parent and now as an entrepreneur, it has been easy to respect everyone’s contribution when something good is achieved. Managing several extracurricular activities along with my studies was not easy juggle. Again today, that art of juggling is helping me manage my time in the best way and allowing me to try and give my best always. Although very late but finally I have learnt that only those who work hard and practice will be successful. No way out. Failure is inevitable. There is no one in this world who can claim to have always succeeded the first time for all the tasks undertaken. So when the probability of succeeding is same as failing, there was no need to give up what I liked to play. Although I did not really value this quality early and kept on flitting, today I have personally realized, that is, my key ingredient to success. When my team leader owned up all the goof ups made by him during an event, it actually had a positive effect on me! I saw the love showered by the teachers even though he was at fault. Then the discussion on the corrective measures were also what I respect a lot as this quality not only taught the whole team our mistakes but also taught us how we can correct ourselves. I think this is the reason behind my need to review schools and products/ services for children. I do not want to point fingers at them but also suggest the corrective actions. And lastly, who doesn’t love a person who has graciously accepted failure, because there are only two things that can happen when you play any sports activity, either you fail or you succeed. And that’s why I am always happy to have learnt something from the games I lost instead of crying over the spilled milk. Inviting you to ask me questions about the extracurricular activities in the schools in Pune via Google Hangout, organized by Bajaj Allianz Football Camp 2014.
you can ask Madhurie Singh at 11 am TODAY 6th June 2014, Friday, right from your laptop! Log into your Gmail account at 11:00 am today and Click +Yourname on the top right hand side corner. Click to Accept and Join the Hangout on Football in India. My new Kid will help YOUR KID’s life and career! How to keep kids busy in this hot summer of 2013? 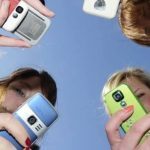 How to make your teen get rid of mobile phone addiction? How to make my child eat food fast and study without making fuss? Filed Under: Teaching in fun ways· Log in . Copyright © 2019 · Madhuriesingh.com .